The Denver Outlaws are coming off of their first ever Major League Lacrosse title, and their defense of it will come at the first MLL game ever at Gillette Stadium. The Boston Cannons, meanwhile, have a new look on the field and with their field for their 15th season. 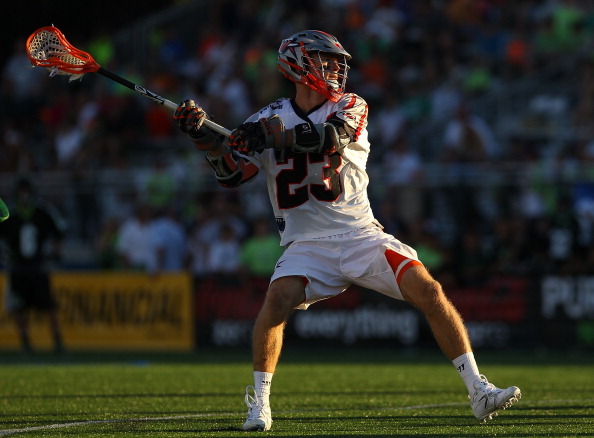 Of course, Boston is now without Paul Rabil, but they have new faces, too. Chad Weidmaier will be the man on defense while Brodie Merrill still plays in the NLL and they recover from the losses of Jack Reid and Kyle Sweeney. Ryan Young and Max Seibald are the new faces of the offense along with captain Will Manny. And goaltender Adam Ghitelman will see time for certain when Jordan Burke needs time off. The Outlaws have brought back most of their roster, but they won’t look the game this evening. John Grant Jr, Jeremy Noble, Dillon Ward, Cam Flint, Cam Holding, and Chris O’Dougherty are all playing in the NLL until further notice. Still, the Outlaws boast a roster that includes 2014 breakout star Jeremy Sieverts and Eric Law should be ready to go after forgoing the NLL season with injury. Denver also has a different looking defense thanks to the retirement of Lee Zink. Instead they have Max Schmidt, a former Ohio defenseman who came to the club on draft day. Boston is looking at rebounding from a tough 2014 campaign where they missed the playoffs. With the offense losing not only Rabil but also Ryan Boyle and Stephen Berger from retirement, they will need someone to step up and become the face of the team. Meanwhile, Chris Eck seems to be missing for the Cannons and that means Craig Bunker will get his shot in the faceoff circle. He opposes Anthony Kelly, a veteran with the Outlaws. This is a terrific matchup to start the season and a good test for the Outlaws who are looking for a repeat.